Should you pick up the sod yourself or hire a professional Eustis sod delivery company! When you live in Eustis and are interested in updating your yard with new sod, you can purchase it and pick it up or hire a professional sod delivery company. If you want to pick it up yourself, you need to ensure you are in shape and can withstand the rigorous lifting involved with loading your truck or trailer. You will then need to remove it and install it in your yard. This needs to be done the same day, or the sod may end up drying out and dying. If you are not sure if this is something you can do, you should watch sod installation videos of what is involved and what tools you will need. If you do not feel as you can tackle this labor-intensive job, then you should opt to hire a professional. When it comes to hiring a professional, some of them will offer delivery only, while others will require you to hire them to install it as well. If you are not sure which option you want, you should explore both options to see which would work best for you and your overall budget. After you have gone through this process, you will have a better understanding of what is involved and whether or not you will pick it up or hire a professional sod delivery company. You will then be able to better plan on how quickly or when your new lawn will be ready. Once you do this, you will be one step closer to having a better-looking yard. Let Ground Source help you make your yard pop with the installation of new sod! When you hire Ground Source for the installation of your new sod, your yard will look fabulous. 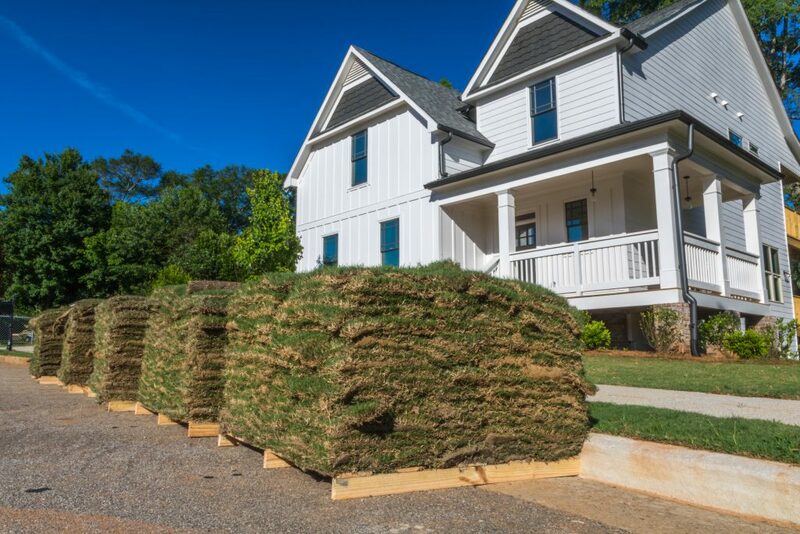 Not only do they offer installation, but they also offer a wide variety of sod from which to choose as well as delivery services. Ground Source offers a wide variety of different types of sod. There are several things to consider before choosing your sod including maintenance, environment, usage, and appearance. Maintenance – Which includes how often it will need to be watered, fertilized, mowed, how much wear and tear it will receive as well as if it is susceptible to pests and disease. Environment – Which includes how much sunlight, what is the pH of the soil, and how much natural water do you get. Usage – What will the area be used for, how much foot or animal traffic it will receive, and what season you want your lawn to thrive. Appearance – Do you want a lush, thick lawn, or will it be a backdrop, or do you care weeds are growing in the sod as long as its green? 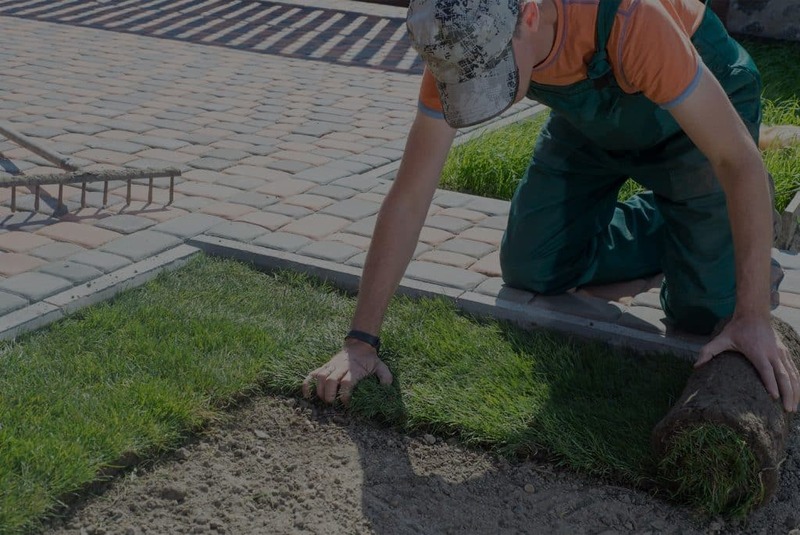 If you live in a neighborhood who has a homeowner’s association, you need to check with them to see what type of sod they will approve before you extend any time researching it. Each of these different types of sod has their own pros and cons when it comes to how well they will work in your yard. If you are not sure which type of sod will work best for you and your yard, you should talk with one of the professionals at Ground Source. They will come out and do an assessment of your yard and discuss the various types of sod which will work best. They will then provide you with a quote of how much it will cost you for the sod as well as the installation. It would also be a good idea to talk to Ground Source about inspecting/repairing or installing a new irrigation system. When you do this, the process of ensuring your sod receives the right amount of water is made much more manageable. So, if you are ready to make your yard pop, it is time to invest in some new sod as well as an irrigation system. Once you do this, you will be the envy of all your Eustis neighbors, and you will want to spend a lot of time outdoors entertaining and enjoying your beautiful yard.